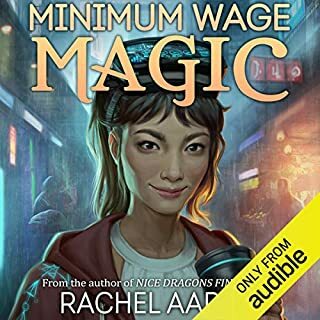 ©2018 Rachel Aaron and Travis Bach (P)2018 Audible, Inc.
That's about the only good thing about this book. My biggest problem is that this story had such potential. Less than two days of story time go by in this book. The audio book is over 19 hours, and if there wasn't the one night where the protagonists slept, it would have mirrored the in book time. Nobody wants to hear a story told in real time, hour by hour, minute by minute. The authors need to learn how to skip the boring parts. Instead, a boring walk turns into crying and whining and implausible conversations that go nowhere. It's like the authors thought of the beginning and the end and spent hours trying to figure out how to fill in the middle. The raid is tired and hungry, but let's take an hour to describe how the races appear to be pairing up. Is this significant, let's take another hour to discuss if it is. JUST MOVE ON!. There are many boring parts of real life, this book describes them in exacting detail. These authors, they need to describe in detail and drag out every little plot device. "Heal the raid." "No." "Heal the raid or i'm going to punch you." "No, go away." "Heal the raid right now!" "No." "Heal the raid or we're all going to die." "No, you're mean." Rinse and repeat. This story is not realistic, the characters don't react in any way a gamer would and the constant cry baby attitudes exist only to elongate the story. It's infuriating. The fact that the main protagonist takes 90% of the book to travel down a road is madness. The main protagonist constantly argues with different members of the raid about continuing to move down the road. And I mean CONSTANTLY. Yet, there is only one way to go. Monsters are behind them so they can't go back, there are impassible cliffs on either side, who would argue??? What are they arguing for??? And why, if anyone was in that position and somebody really did start to argue, would anyone care enough to respond? You don't want to keep moving? That's fine, stay, or go the other way into the horde of monsters. Deuces. I could go on and on, but then I'd just be mirroring the authors. The cover art is great though. P.S. This is supposed to be LitRPG. WHERE IS THE LOOT??? I mean jeez... skeletons, monster undead boars, mini-bosses, and a giant raid boss are downed and nobody even mentions loot. WTF? The first point to be clear about is that this book tells two completely separate stories, which have no interesting intersection. It could literally have been written as two separate books (with nothing lost) by simply copying out alternating chapters. The story ends (in a cliffhanger) at the point where the stories would come together. The two main characters spend too much time in self recrimination and aren't generally interesting other than a bit of gender reversal: the sweet, pacifistic, healing character is male; the aggressive, driven fighter character is female. Overall the story (stories) is based on a mechanic that is effectively nonsense -- that an MMO game, would somehow be built from an actual, real-in-some-universe environment -- with some only some vague foreshadowing of supernatural influence as a possible explanation. Really though, there can be no explanation of this situation which would satisfy an Occam's razor test, making the whole story feel like a 19 hour waste of energy. 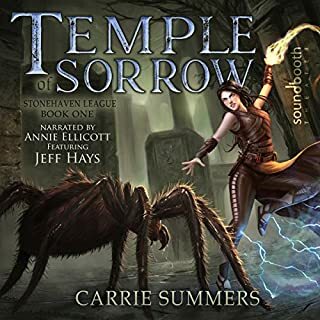 I just finished listening to this funtastic book, and yep, it's a Lit-RPG... written by a long time favorite author of mine, Rachel Aaron, but this time she's sharing the helm with her husband, Travis Bach... And they did great together! The story follows a brother and sister (James and Tina) as they log into the mmorpg "Forever Fantasy Online", but not together, they've already had way too much of each other in real life... And of course, the game glitches badly. They discover that they can't log out... and for some reason, they can actually feel pain when their characters are injured. The items they've been collecting don't seem to be working, and if their character dies, it may be that they too will die... We get to follow James and Tina separately as they fight to survive and complete their quests! We also meet some pretty awesome side characters, like Frank, Neco Baby, and Fangs... and although the ending is kinda cliffhanger(y), I'm not mad. The book does what it needed to do! both James and Tina arrived at the destination they struggled to get to and now they're ready to face the next book together! I hear that book 2 is completed and currently being edited. If you like Anime and gaming, I think you'll enjoy this... it's similar to Sword Art Online and WoW... or if you just like LitRPG, like Ernest Cline's books, Ready Player One, and Armada, again you should give this one a try! Sloowwww to start. Gotta grind through the initial four chapters or so, just like a real mmorpg. However once developed, the twin story lines of a brother and sister separately trapped inside the same VR video game that’s now real life, is quite entertaining. I wouldn’t call it gripping or can’t put down. But entertaining enough to enjoy. Character growth really stunts mid story and doesn’t seem to progress, just repeat the same patterns. NPC characters depth of personality and mannerisms is well crafted. Incorporating different player types and skills into the unique struggles is interesting and contemplating end game bosses that don’t have in game restrictions is an exceptional idea. The only three things I didn't like about this book were the clunky beginning, and that the two PoV story lines never intersect until the last few minutes of the recording. Finally, the story didn't stop at an appropriate point so it feels like a cliffhanger rather than a completed story, Though all the protagonists completed what they set out to do.... The last few pages/minutes of a book seem to be an inappropriate point to introduce new action that just gets cut off without resolution. Beyond that, this was a fun listen. 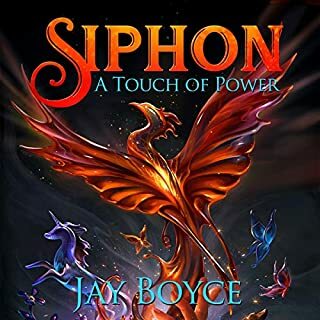 It's not a true LitRPG in the sense that there are no game mechanics aside from naming spells, but the story is compelling which is a decent trade off. I liked reading about how players have to adjust to what it's like to be a non-human race. This is something I haven't encountered in the genre before. I also really enjoyed the elderly guy playing on a hacked account. There's good action and a lot to enjoy here. I don't regret using my credit on this book, and will continue buying them as long as they are of similar length, and don't fill with fluff like the last book of Heartstrikers. I didn't like Tina's showing mercy at the end of the book... the betrayer deserved to be stranded in the middle of nowhere. That doesn't lower my star rating however. Performance is solid, nothing to make me think "OMG! That was the best EVER!" but it is professional and there's nothing bad I can say about it. Ever since I read Fortune's Pawn I always expect to have an awesome time reading a book by Rachel Aaron and I haven’t been disappointed yet. This one she co-wrote with her husband Travis Bach and I hope this is not the only series that they write together because it was awesome. They’re a great team. I’m a former World of Warcraft junkie, so this book felt like it was written for me. I even had a dream that I was a character inside World of Warcraft and I was fighting some old bosses. This book gave me Nostalgia +10. The character development and world building were excellent, I felt like I was inside that world and got to know the main characters and see them grow in this journey. I’m looking forward to the next one in the series. in my opinion it is worth a credit. It has an interesting story but to some it might be abit too dragged out. I loved the chapter flopping, didn't like all of the bad language, but am looking forward to the next book. Great job on the narration. Ok having a prologue just tell me what was going to happen was wierd. And at first I was thinking "Its a game, getting really overdramatic over it." But once the game became real, it got good and interesting. At least at first. It gradually got more and more corny though the longer the book ran. From joining a tribe, to a romantic plot that might as well have used the words "true love", to a constant and kind of stupid "GAMER PRIDE!" element. But I still liked it much more than I hated it. The sort of inversion of the typical litrpg was neat. And it lacked most of the annoying things other litrpgs have. No womanizing, no filler just solid storytelling and action. So a solid 4 stars. Forever Fantasy Online is a LitRPG where the characters end up stuck in the game. You know, the ones where the characters play through a virtual reality system and then somehow end up stuck inside the game, being hit hurts, death is permanent, and all that fun stuff. 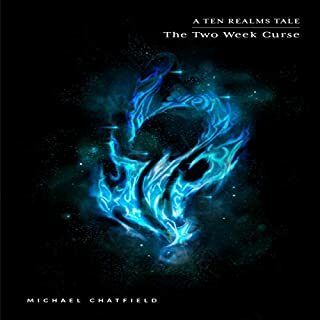 I found this one to be unique compared to those that I’d read previously, almost like portal fantasy rather than LitRPG. NPCs (non-player characters) are people too. They’ve been stuck in a recurring nightmare where they’re forced to act out the game for the last 80 years. Naturally, they aren’t very fond of the ‘players’. The two major POV characters, Tina and James, both have their own character arcs which are independent of each other. I enjoyed both POVs immensely, however, I preferred James’ POV more, I really enjoyed reading about him and found his chapters to be more relatable for me. While the book switches POV each chapter, I rarely found myself wanting to skip chapters to get back to a character I preferred. Tina was preparing for a raid of the biggest, baddest dungeon in the game with a trial team to prepare for guild inductions. The change hit before the team entered the dungeon, and Tina is faced with the challenge of managing her team and ensuring their survival. I really enjoyed her survival arc as she struggled with managing an unfamiliar team. Overall, I wasn’t a huge fan of Tina’s personality. She’s stubborn and controlling, but at the same time, she’s doing all she can to keep the other players alive. I admire her determination to save them all, and the challenges she perseveres through, but she constantly conflicts with members of the team she’s trying to save. In this, the authors have done a fantastic job of creating the conflicts that would likely arise when you throw people who were playing a game to relax into a situation where their lives depend on the game they were playing. James, on the other hand, logged into the game in a lower level area where the NPCs quickly pick up on him being a player. James quickly finds that the NPCs were originally people in the Forever Fantasy Online world who’d been trapped in the game and forced to live by a script for 80 years. For some, this meant simply giving the same quest out millions of times. For others, this meant they were the character that was kidnapped every day for the players to go rescue. Needless to say, they weren’t very happy about their 80 years of nightmarish living. James was easily one of my favourite characters. He reminded me a bit of Rachel Aaron’s Julius Heartstriker from the Heartstrikers series. He plays a healer and wants to do all he can to help the local NPCs and right the wrongs caused by the game. Throughout this book, the authors do a great job of showing how their characters react to different scenarios and the growth they achieve. Over the course of the book, they go through some serious character development with their emotions and motivations quite clear for the reader. One of the other things I really liked about this book is how it deals with common practices in video games. Characters who chose to play non-human characters have to learn how their new bodies work; how their tails work, what it’s like to have elven agility, what giant stone people like to eat. They also deal with characters who elected to play the opposite gender in the game and their sudden change in gender, and players who’ve bought their accounts online and are in end game content without having any idea how to play. Furthermore, the unrealistically shrunken maps are extended to make them more in line with what an actual landscape would be like, and bags/inventories hold a much more realistic number of items. 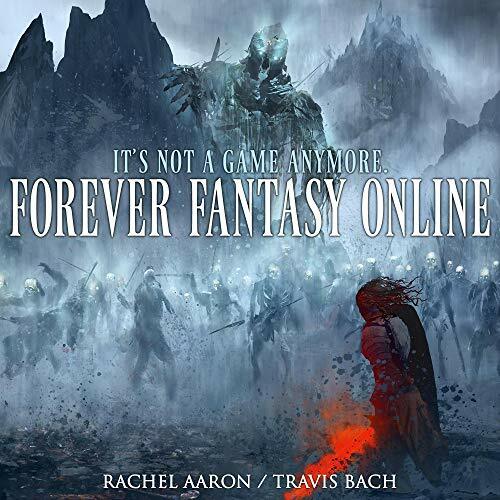 Overall, Rachel Aaron and Travis Bach have written an amazing story and a realistic LitRPG which deals really well with a number of different factors involved in gaming. They’ve created a great world with lots of interesting pieces of lore and filled it with realistic, well-developed characters. The stakes feel very real and from early on it’s evident just how much they stand to lose. The only negative thing I can really say about this book is that it left me wanting more and that I’ll have to wait for the sequel. 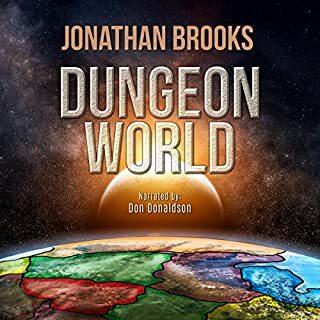 Josh Hurley’s narration of the audiobook is very well done too, and I enjoyed every moment I listened to it. What would happen if an MMORPG became real in an instant? This story follows the perspectives of two real world siblings in the MMORPG game when this happens, in their very different locations and situations. As a long time player and raider in WoW, I found this full of hilarious references and very relatable situations. There was some significant character development but not a huge amount since the events of the book only cover a couple of days and I’m looking forward to more of that in the future books. This book is dealing with the immediate effects of the change, of the game suddenly being real, with a cast of both players (now in their avatars’ bodies) and non-player characters (NPCs) suddenly freed from the restrictions of the game. The two point of view characters are both likeable, relatable and flawed which is just how I like my characters. I hope we get things from more points of view in future books though. Overall, this is a great start to a series and I’m excited for more to come! If you think this might be your thing? its your thing! 5 Stars. cannot wait for the next Book! I'm an avid gamer so i took a punt and bought this. All i can say is i was hooked from the start. Great idea, well written, and great narrative. I cant wait for the next one. This book is as others said two individual stories but they link together as the two characters are siblings. This book was well written and the main characters were likable and most definitely human. By this I mean they had faults and weren't your typical, I'm a badass and will kill everything in sight types. In conclusion I would say give this book ago. Additional note: there wasn't a lot of humor, so if you like your books to have a touch of humour then I'd give it a miss. 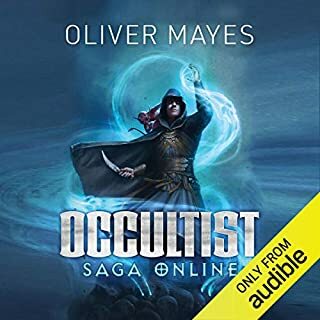 As a lover of all things gaming I have read/listened to a fair few other similar stories such as Ready Player 1, armada, off to be a wizard series and the bobiverse. (all great too btw) and this one lived up to all of my expectations I loved the 2 storylines and as the chapters ticked by I was sure they couldn’t tie up all the loose ends then I found out it was a trilogy! One I am now very excited to continue with!! Both main characters were very different which added to the overall journey you are taken on. All the supporting characters were great and the audible narrator did a superb job with each character! I don’t want to give any spoilers but this story seemed that it would require a basic knowledge of gaming and WOW (world of warcraft) but I would say the author explains everything so well you could be a noob to the genre and still enjoy it! Can’t wait for the next one! !